the issues that affect our communities. into a voice that represents us. Now is our time. 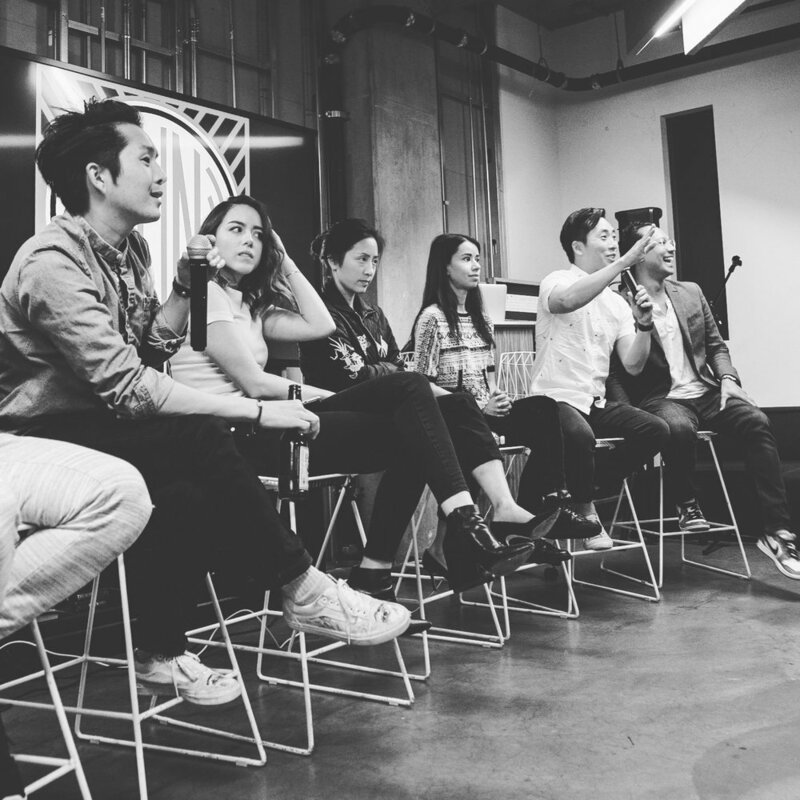 (RUN) brings AAPIs together though events, creative campaigns, and social media. Start a (RUN) chapter in your city. Chloe Bennet grew up on the south side of Chicago, her father a first generation Chinese-American and her mother Caucasian. Bennet’s family consists of six brothers -- three siblings are biological and three siblings are adopted (African-American and Mexican, respectively). Additionally -- and to this day -- in any given year you may find foster and/or foreign exchange students living in the Bennet home; their story is a real-life multicultural Cosby show. Chloe is the star of Marvel's Agents of S.H.I.E.L.D and is currently filming MGM's feature film and musical, "Valley Girl." Chloe came up with the idea of (RUN) after keynoting the last AAPI Summit in the Obama White House. Catherine Park has been with Giant Robot magazine & stores for over a decade. She is a principal of Hawkins Mikita, a social innovation firm dedicated to develop the intersection of influencers, philanthropy, and social change. Cate began her career at Columbia/TriStar Pictures as assistant to Chris Lee, the first Asian American to head a studio. In partnership with Mosaic, she was a Co-Founder and Partner of a new venture focused on talent driven digital projects. In 2008 and 2012, Cate was a member of President Obama’s National Finance Committee and has served as National Co-Chair for the AAPI Leadership Council, Women for Obama, and Tech for Obama. As Funny Or Die’s Managing Director and Executive Producer, Jenkins manages creative campaigns and political strategy. Before FOD, Jenkins spent four years serving as President Obama’s Associate Director in The White House Office of Public Engagement. From The White House, Jenkins brought together thought leaders, creative executives and some of the world’s biggest stars to advance the President’s agenda—culminating in the Emmy-award winning “Between Two Ferns” interview on the Affordable Care Act. Brad recently served on the AAPI Council for the Bernie Sanders campaign and appears on CNN, MSNBC, HLN, NPR, CNBC, the Washington Post, and the DC Improv.